About a third of A Quantum Mythology, the second part in the Age of Scorpio trilogy, is set in Iron Age Britain, or at least a highly stylised version of it with some elements borrowed from different time periods, and others just made up. One of the great things about the period is not that much is known about it, and what is known about it is often quite biased, for example Roman propaganda written after their conquest of southern Britain. This leaves it something of a blank canvass for historical SF. What is ‘known’, the later romanticised versions of the era invented during the Celtic Twilight, and the propaganda mentioned above, can make for very fertile ground for the imagination. If you are looking for academic studies of the era then you could do worse than read the works of Barry Cunliffe and Francis Pryor. To find out about the invention of much of what we think of as ‘Celtic’ the works of the always-entertaining Ronald Hutton are worth a look, particularly the Druids. Also Osprey do a number of books on Celtic and Pictish Warriors and their fortifications. I really recommend the Osprey books for people interested in how the era may have looked. For the purposes of this blog, however, I don’t care about the factual side, instead I’m going to talk about my favourite fictional adventures set in the period (okay I’m going to be dabbling in late antiquity/dark ages and mythology as well). 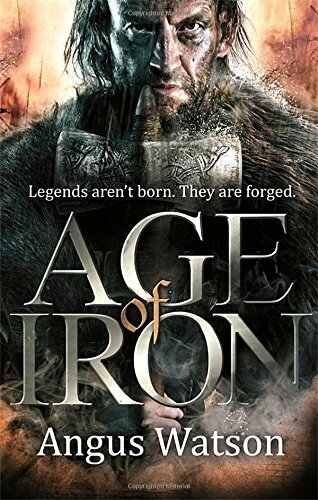 First up is Angus Watson’s historical fantasy Age of Iron. Age of Iron is set on the eve of Julius Caesar’s reconnaissance-by-force of Britain . The story follows the adventures of the refreshingly aging, ne’er do well warrior Dug Sealskinner, Spring, a mysterious young girl, and Lowa an archer on the run from her erstwhile employer, the villain of the piece King Zadar. It’s a romp, lots of action, scrapes and outsmarting the bad guys, great fun to read. Watson has said that the story owes as much to Conan the Barbarian as it does to historical research, an approach I applaud. 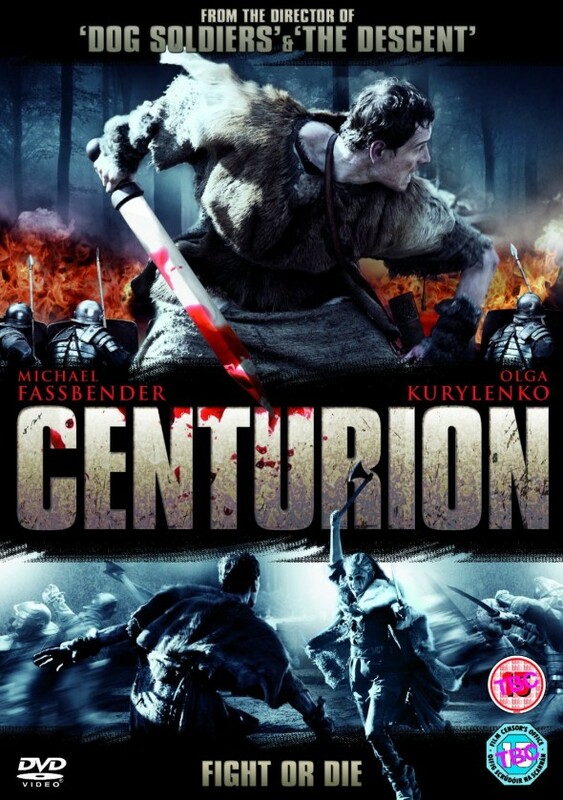 Next up is the film Centurion, directed by Neil Marshall, the director of Dog Soldiers as well as episodes of Game of Thrones and the excellent Black Sails. Centurion tells the story of a group of Roman soldiers trapped behind Hadrian’s Wall, being hunted by Picts, after the massacre of the Ninth Legion. Now I enjoy this film, it’s well worth a watch, but I have a problem with it. Like a number of other books and films about the disappearance of the Ninth Legion, the Romans are the good guys and the Picts are the bad guys! The Romans were invaders, their civilisation was built on slavery and they watched people wound and kill each other for fun when they weren’t feeding them to wild animals. How the hell are the Picts the bad guys? Though to Marshall’s credit he does go someway towards explaining the Picts’ actions. Still a good film though. More books: the Warlord Chronicles by Bernard Cornwall. This takes the familiar myths of King Arthur and puts them in a more historically accurate and realistic setting. These are by far and away my favourite historical novels. Well-drawn characters, heroes you can cheer for but with all the weaknesses that make the Arthurian Mythos so compelling. Treacherous villains that are often so unpleasant you want to boo them, which makes for a wonderful sense of satisfaction when they get their just desserts. Throughout the trilogy there is the constant sense of marching towards the inevitable tragedy of King Arthur’s story. I love these books and can’t recommend them enough. I particularly enjoyed Cornwell’s sarcastic, lecherous, cunning version of Merlin. 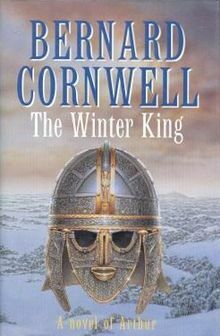 I’ve no idea why these books haven’t been turned into movies or TV shows, particularly when you see some of the crap churned out also based on the Arthurian Myths. The stories take inspiration from the Irish Myth Cycles, and in particular the Book of Invasions, but also pulls in ideas from other mythologies, Mills’ interests in paganism and magic, and some even more esoteric sources. 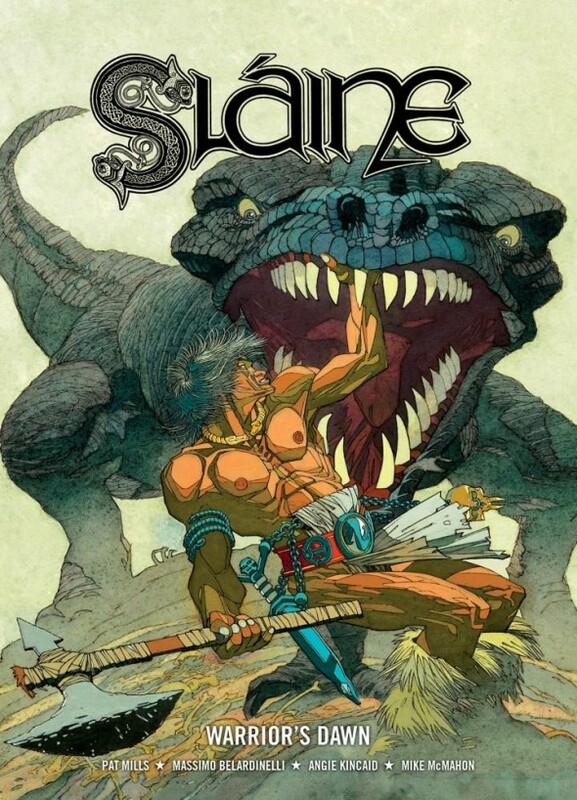 The hero of the series is Sláine a barbarian warrior and later king, who would beat the living crap out of Conan if the latter were ever unfortunate enough to cross paths with him. Along with Ukko, his conniving dwarf sidekick, Sláine fights Fomorian sea demons, travels in blood-powered flying ships, defies gods, marries goddesses, rescues sacrifice victims that don’t want to be rescued from wicker men, travels across time for team ups with the likes of William Wallace, Boudicca and King Arthur (again), and slays a hundred to the left of him, a hundred to the right, and doesn’t think it too many. The Horned God is probably Sláine’s most popular story, in part because of Simon Bisely’s amazing artwork. I love the Book of Invasions, Clint Langley’s artwork is truly beautiful. The best place to start, however, is the Warrior’s Dawn collection. Stories from back when Sláine was just a wandering warrior exiled from his tribe, the Sessair, for the crime of loving Niamh, the woman promised to the king. In Warrior’s Dawn Sláine spends all his time getting up to shenanigans with his repellent partner in crime. Should Sláine ever receive the film treatment, and there is an amazing fan film, I am available for screen writing duties. So if Age of Scorpio and/or A Quantum Mythology whet your appetite for Iron Age high adventure, or even if they don’t, all of the above are well worth checking out. This entry was posted on Saturday, March 21st, 2015 at 11:15 am. It is filed under Blog and tagged with 2000AD, A Quantum Mythology, Age of Iron, Age of Scorpio, Angus Watson, Bernard Cornwell, Celtic Mythology, Celts, Centurion, Fantasy, Gavin G. Smith, Gavin Smith, Historical Fiction, Myth, Neil Marshall, Pat Mills, Science Fiction, Slaine, Space Opera. You can follow any responses to this entry through the RSS 2.0 feed.